Schoenberg, Webern, Berg ... where to start ? and did not dislike them at all but I have to admit that I did not listen to them many times. What pieces by any of the three composers would you recommand for someone who would like to get a taste of these composers ? Other questions: What do CMG members think of these composers ? What are your favorite pieces by these composers ? Do you think that these composers are under rated or overrated ? Matt, start with Schoenberg's 'Verklarte Nacht' and 'Pelleas and Melisande'. Then try the 'Gurrelieder'. For Berg, 'Wozzeck' and the 'Violin Concerto' are good starters. For Webern, try the 'Passacaglia' and 'Im Sommerwind'. P.S. I love all three composers works. But have to admit it took me quite a few years to understand their atonal masterpieces. I simply have never been able to handle Pierrot at all. But Schoenberg's 5 Pieces op 16, the Two Chamber Pieces and the Concerti for Piano and for Violin are masterpieces worth knowing. 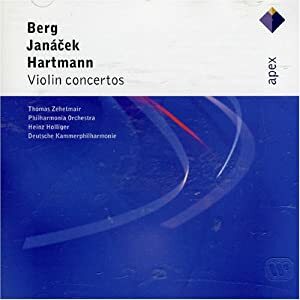 Berg's Violin Concerto would have to rate high on my list of desert island works. The Three Pieces for Orchestra and the Lyric Suite are must hears. Webern is a tougher nut to crack but the 5 Pieces, Symphony and Passcaglia are great to start. With Webern, listen to the colors and the small 2-3 note motifs that are used so effectively in these miniature masterpieces. ravel30 wrote: For quite some times now I have been wanted to give a try to the famous three members of the second viennese school but never got around to it really. What pieces by any of the three composers would you recommand for someone who would like to get a taste of these composers? Other questions: What do CMG members think of these composers ? they're great - esp Schoenberg and Berg. Do you think that these composers are under rated or overrated ? ^^ Have to agree, very much underrated and not as "thorny" as much of the new music I have heard performed by my local band. May I suggest a budget Naxos recording that is an excellent introduction to the Webern orchestral music? I forgot to recommend the extraordinarily overheated and decadent confection, the Chamber Symphony No. 1 by Schoenberg. It is simply magnificent and signalled the end of late romanticism....or sort of.......Whatever, listen to it, as Heck recommended, too, mate. Donaldopato wrote: May I suggest a budget Naxos recording that is an excellent introduction to the Webern orchestral music? I would suggest Hilary Hahn's recording of Schoenberg's Violin Concerto (it's coupled with Sibelius' Violin Concerto). In addition to the other pieces already mentioned, try Berg's Piano Sonata. I have Sinopoli's Dresden Teldec recording of a group of Webern's orchestral works which I quite like. 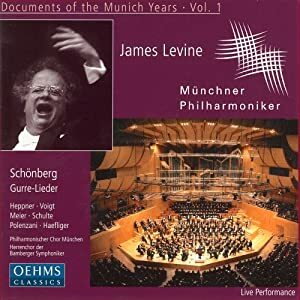 There is an Amazon review by a Scott Spires which says "These orchestral pieces are played in chronological order, so if you listen straight through you can hear the startling progression from the overripe Wagnerism of "Im Sommerwind" to the incredible compression of the late works, when Webern rations each note like a starving man trying to make a slice of bread last a whole week. Give this disc an hour of your time, and you can experience his entire creative arc." Darn! That's exactly what I was trying to figure out how to say. Program notes (English) by Harold Lawrence, Halsey Stevens. I'd second that. An excellent recording, accomplished readings. Truth is, Ravel30, you won't have much trouble with Berg. 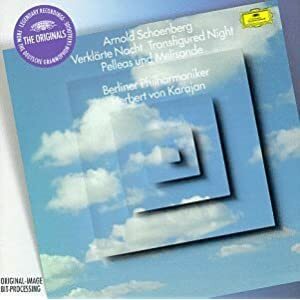 He produced so very few works, many rather beautiful (tonal/diatonic) songs - the 7 Early Songs (for soprano and (piano or ensemble) are beautiful, as are the Altenberglieder Op 4 which is atonal. I personally find the Violin Concerto quite difficult, likewise the Chamber Concerto but they're fine works. My favourites are the two operas (but they need to be seen; there are DVDs around). The base tone-row is positively haunting. Webern, again he didn't produce a great deal. I doubt he wrote enough to fill 3 CDs. His importance (if that's what it is) was the launch pad for the 50s avant garde: Stockhausen, Maderna, Nono, Kagel etc. The second volume of Die Reihe, a contemporary periodical issued by the movement (edited by Stockhausen), was dedicated to him. I find it quite sad when someone (See Donaldopato's mail above) can say that they respond to Schoenberg op.9 or whatever but can't relate to Pierrot Lunaire at all - because when I first started getting into modern music in my later teens while I was at school in the early 60s I bought a Saga LP of Pierrot and was totally hooked without understanding why. Now I realise that the whole of modern music - the synthesis of the very unclassical grotesquerie of these parodies of the commedia dell'arte with the logic of the highly organised post-baroque atonal counterpoint and the violent expressionism of an age just before WW1 already morphing into a monster murder machinery with a sentimental nostalgic hangover (O alter Duft der Märchenzeit) - is contained in this sequence of highly compressed vignettes of a past that has turned irrevocably into a ghastly future yet to be fully revealed. The awful deadly yearning to return to a non-existent idyll which is characteristic of our whole kitschy killer civilisation. No other 20th century work, not even The Waste Land or Les Demoiselles d'Avignon, comprehends us so deeply, hilariously and agonisingly. 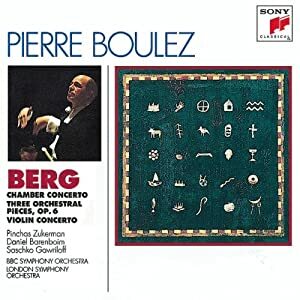 Please listen to the Boulez recording with Helga Pilarczyk to get the full experience - I also recommend the Jan DeGaetani recording on Nonesuch and Mary Thomas & co on an old Decca disc. Pierrot must have been the first Schoenberg work I ever listened to, and the brilliant chamber writing had me hooked from the outset, too. However, over the years I have heard a recording or two in which the character of the singer rubbed me the wrong way . . . so there was a stretch of time in which the piece itself suffered my displeasure (not my most discerning reaction, but there it was). I 'rediscovered' the great virtues of the piece via the Anja Silja/Robt Craft recording. To answer the OP question, with the consideration that there is a possibility that Pierrot may not sing right to him as it did to me and to MJWal: the Serenade, Opus 24, which is completely in the same soundworld (and of the same condition of excellence) as Pierrot. 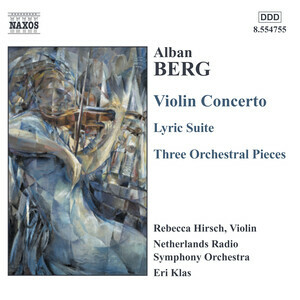 Run, do not walk . . . .
Of all the works mentioned, Berg's Violin Concerto is the one that moves me the most. I would, however, prefer Zukerman or Zehetmaier to Hillary Hahn's recording. The Janacek Violin Concerto (included here) is a minor masterpiece as well.